Lighting is an art that deserves artistic thinking; it is not solely an exercise in technical expertise. 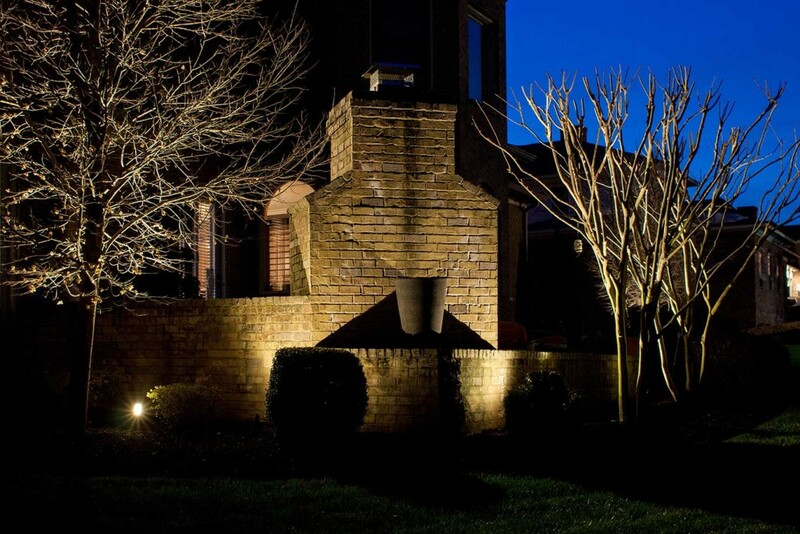 Designing compelling and creative outdoor lighting is as much a science as it is an art form. 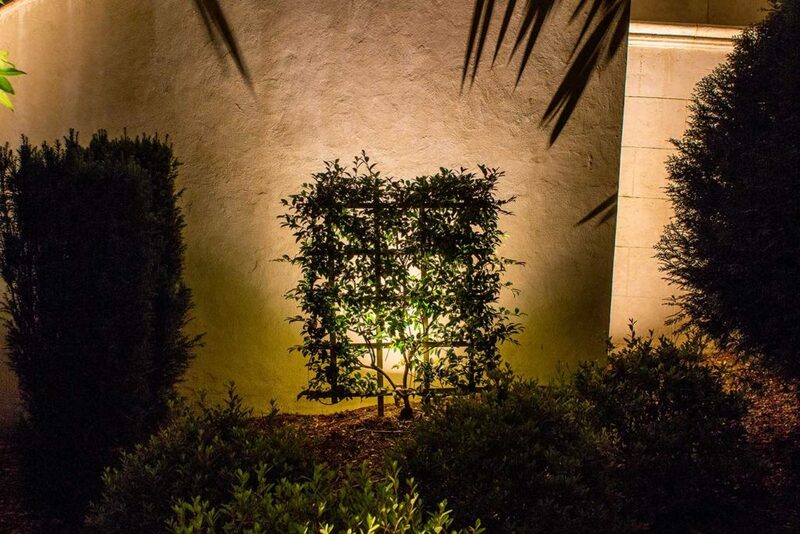 Our lighting specialists are well versed in the art and science of compelling outdoor lighting techniques. 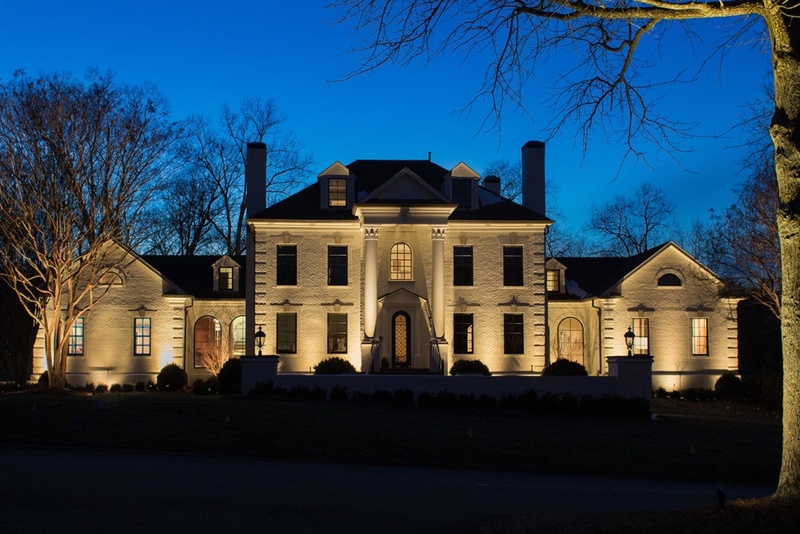 Take a look at some of the lighting techniques used by the professionals at Light Up Nashville. Downlighting is achieved by illuminating an area or object from above. High mounting heights and wide beam spreads provide broad, uniform illumination. Lower mounting heights or narrow beam spreads can be used for accent lighting. Bullets and floodlights are the appropriate choice for downlighting outdoors since they can be mounted on structures or poles. 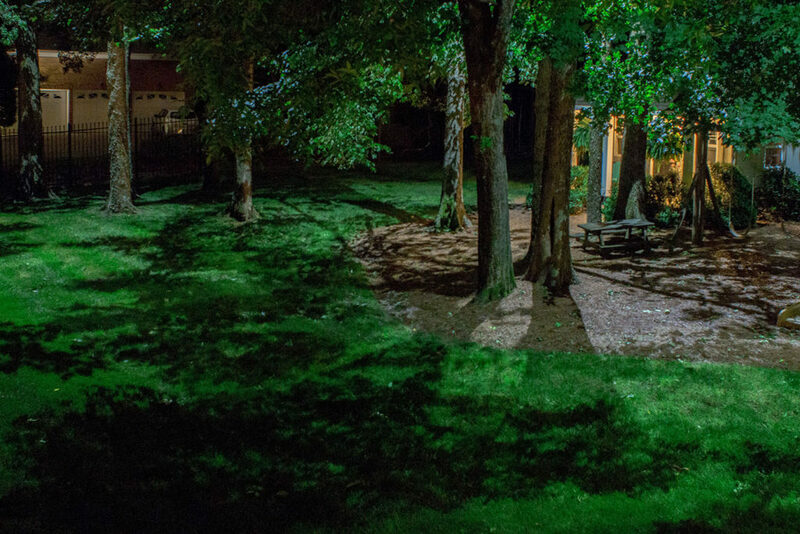 Downlighting becomes “moonlighting” when easily adjustable, fully shielded bullet fixtures are placed high in trees, and aimed down through leaves and branches to produce soft, subtle shadow patterns on the ground in imitation of true moonlight. Below you can see a great example of this moonlighting technique at a project we completed in Nashville. This technique uses direct burial fixtures, well lights, and grade-mounted bullet fixtures which are aimed upward to illuminate trees, sculptures, walls, and flags. Uplights provide very dramatic effects because they generate light and shadows in the opposite direction of the sun and moon. 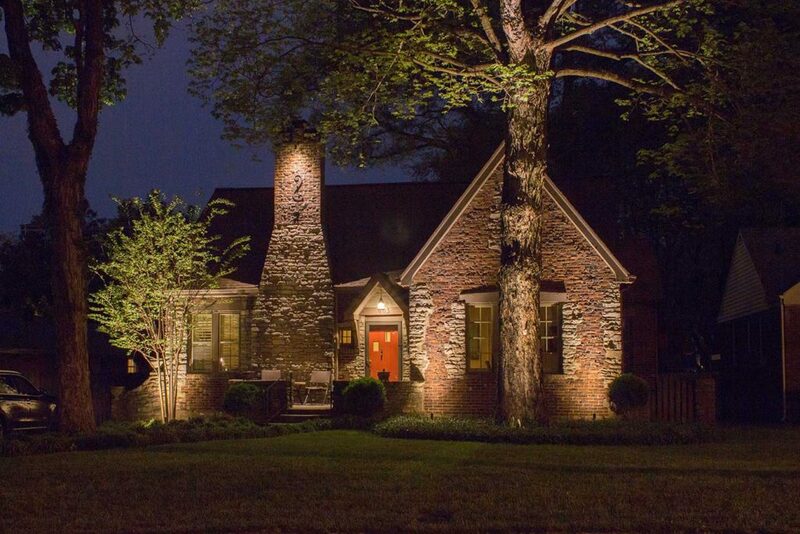 This is a perfect technique for lighting a home's exterior, as shown below. Using higher light levels, uplights or downlights can be used to accent key features and create focal points, by separating them from objects or areas of lesser importance. The ground-mounted up lights at the base of this fireplace make it stand out by lighting it from below, emphasizing a stunning piece of architecture which stands out from the rest of the property. Projecting light onto an object and casting shadows onto the vertical surface behind that object will create a shadow effect, similar to moonlighting. 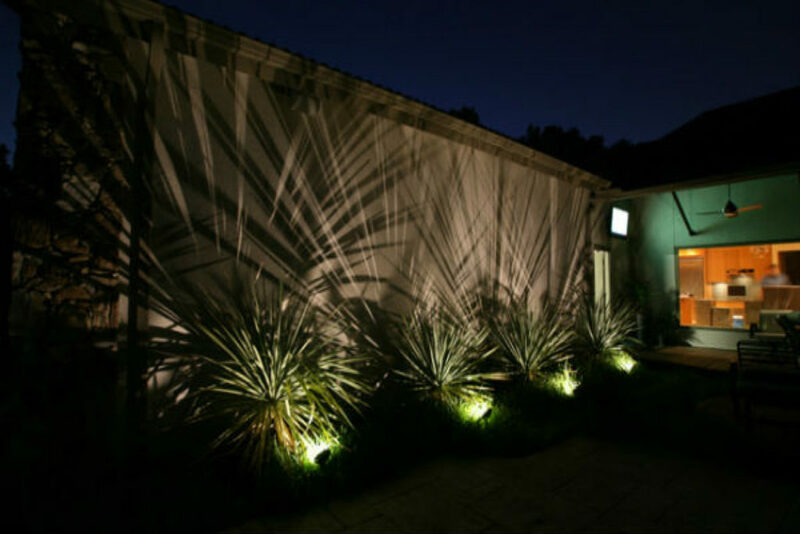 The shadows from these palms creates a visually appealing backdrop to an outdoor space. Lighting a vertical surface behind an object makes that object appear as a dark shape (in silhouette) against the lighter reflective surface. Backlighting objects is perfect for accenting unique elements or features to your home. 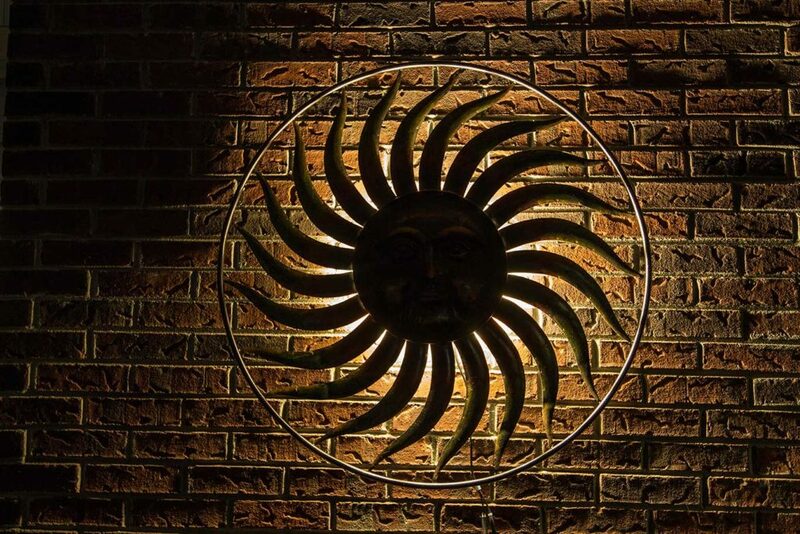 During the daylight, artistic pieces around your home add beauty and flair to your outdoor spaces. 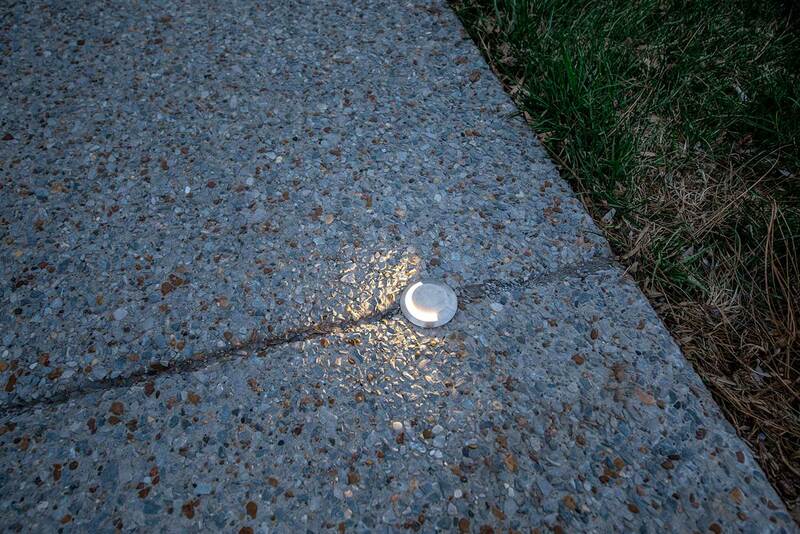 By adding backlighting, they need not disappear into the dark at night! Light is aimed parallel to a surface to bring out its texture. 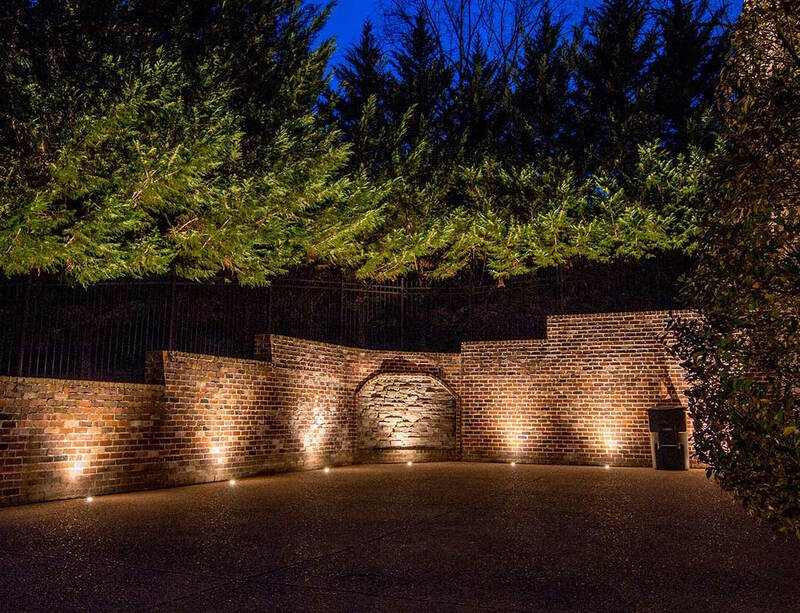 The texture on this over 100 year old home in Nashville is perfectly highlighted with uplights aimed parallel to the wall, grazing the beautiful brick and stone textures.